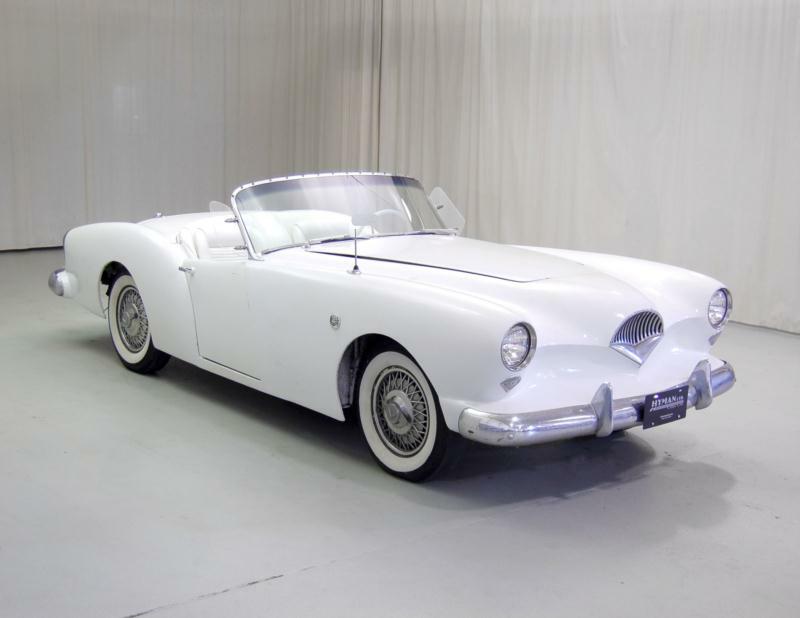 The 1954 Kaiser Darrin 161 was a competitor to Chevrolet’s new Corvette of 1953. 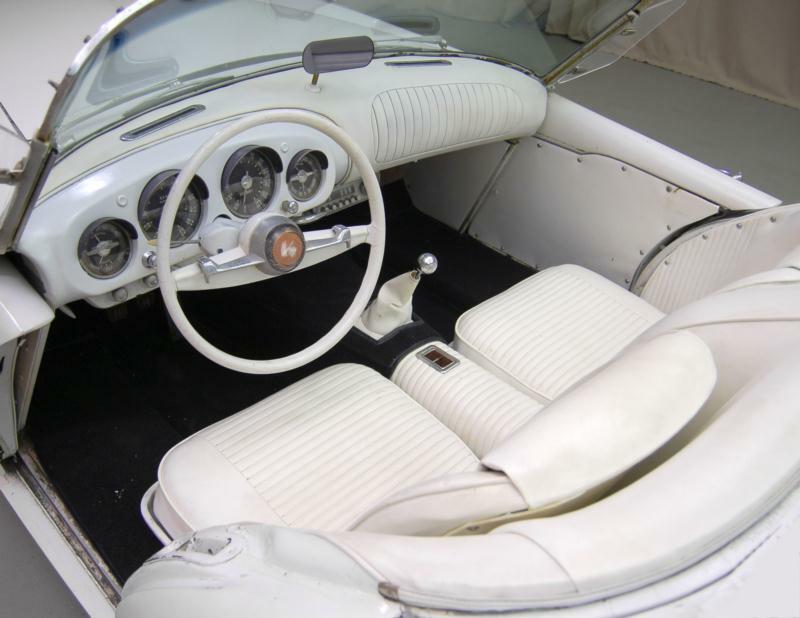 The Darrin was a fiberglass-bodied two-door convertible designed by Howard “Dutch” Darrin, and it rode on the contemporary, compact chassis of the Henry J. 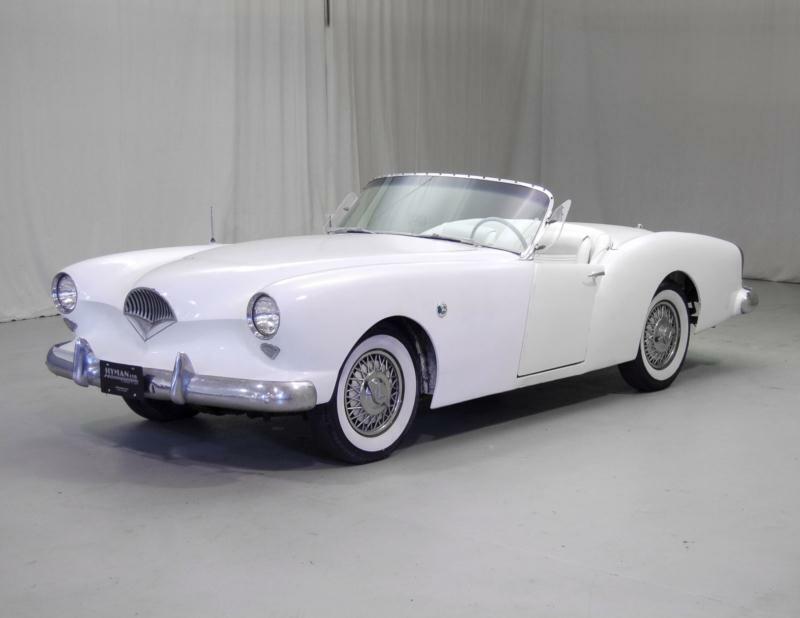 The Darrin had been announced in late 1952 and prototypes were shown throughout 1953. 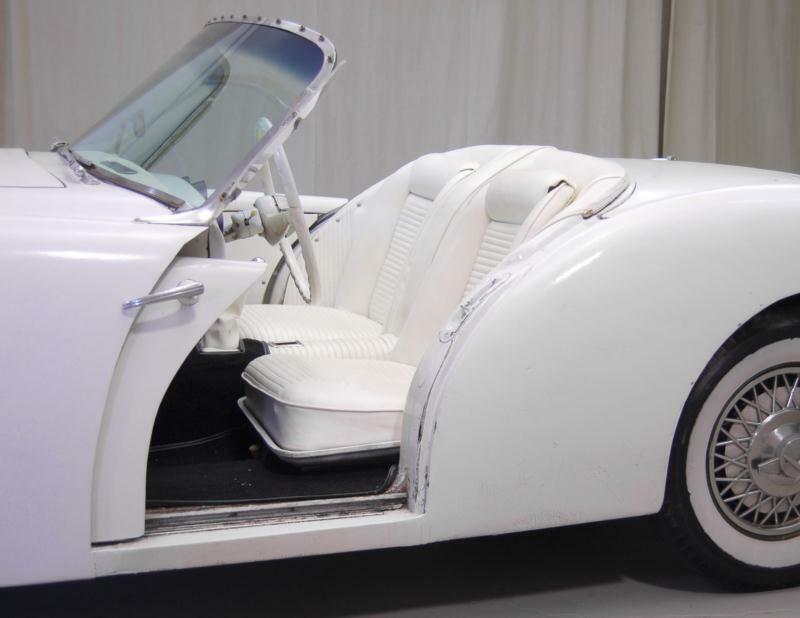 The car was a sleek boulevard cruiser in which the doors did not open outwards, but rather slid forward into the cowl and front fender bodywork. This was a convenient feature, especially useful in a tight parking spot, but for some reason it never caught on. 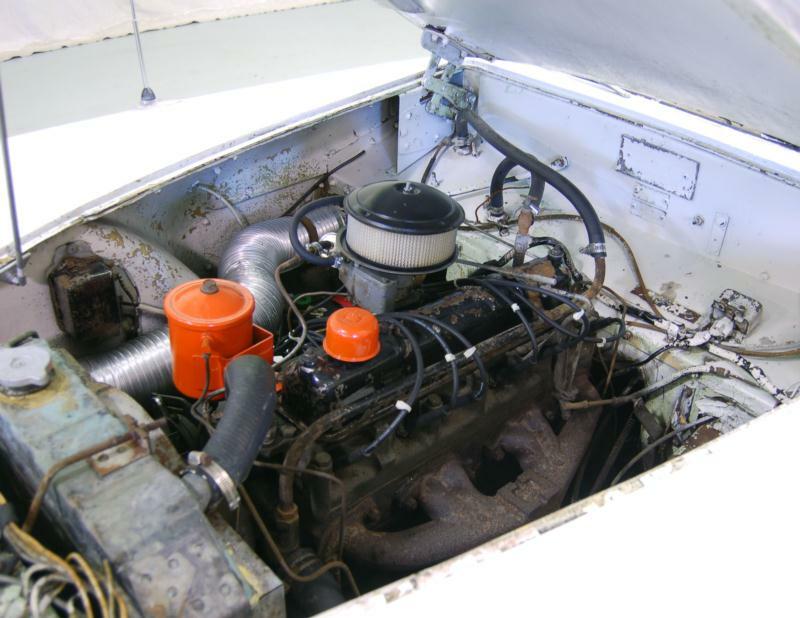 The Kaiser Darrin was powered by a reliable but unusually designed Willys F-Head engine in which the intake valve was located overhead of the piston, but the exhaust valve remained in the engine block as in a flathead design. The six-cylinder engine displaced 161 cubic inches and delivered 90 hp. A 3-speed manual transmission was standard, but an optional overdrive or automatic transmission could be ordered as well. Other available options included seat belts, power brakes, power steering, air conditioning, whitewall tires, wire wheels, tinted glass and a heater. Kaiser production shows 435 cars made between January and August of 1954, when production was halted due to poor sales and increasing inventory. Over the next year, Howard Darrin bought up all the remaining Darrins at the factory, including 50 that had been damaged by snow, and sold them at his own dealership in California through 1957. Many of these Darrins were upgraded with triple-carburetors and superchargers, and 6 were known to have received 305-horsepower Cadillac Eldorado engines and were used in early SCCA racing by Lance Reventlow, among others. With such limited production, any Kaiser-Darrin would be worth buying and restoring, for enjoyment and exclusivity if not for big profit. Special consideration, though, would have to be given to any of the cars retrofitted with a supercharger or the Cadillac engine after production ceased. 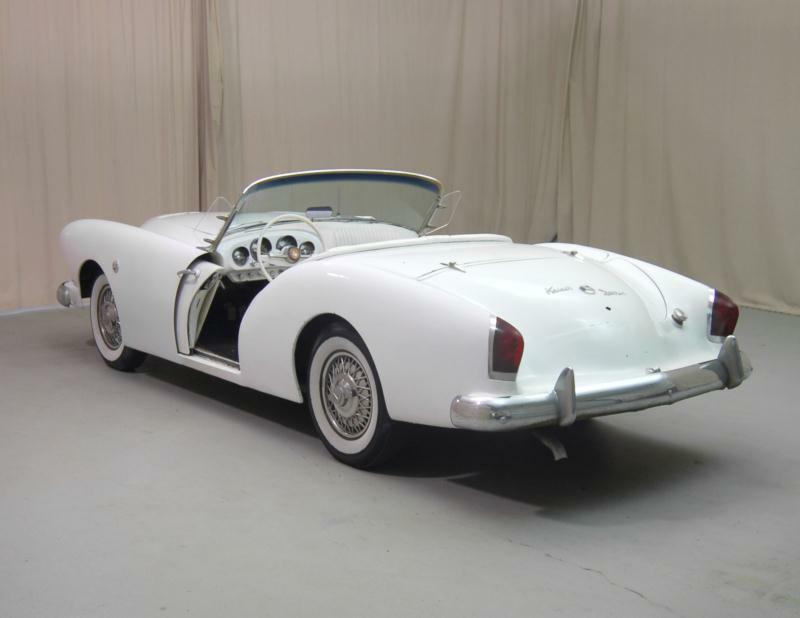 Although production and sales didn’t get underway until 1954, the prototype of the Kaiser Darrin actually beat the Corvette to the punch, making among the very first fiberglass-bodied American sports cars. It didn’t achieve any racing glory and was not a commercial success, but the Kaiser Darrin is nevertheless one of the more memorable cars of its day.